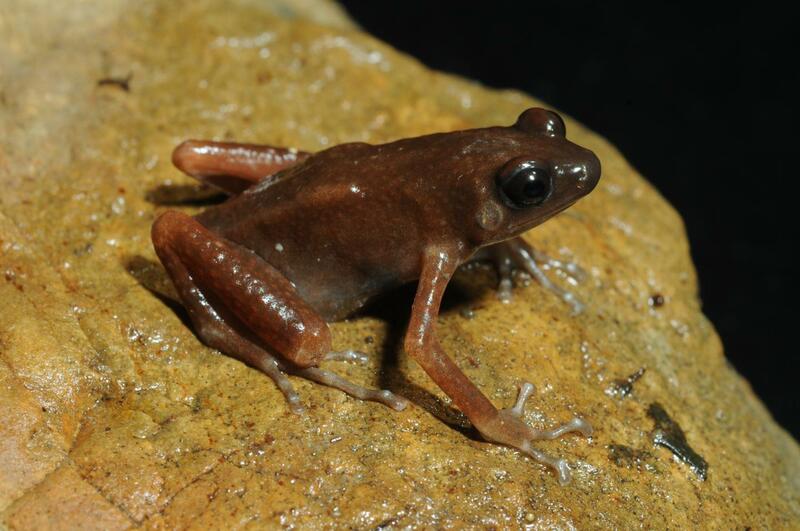 A team of scientists from MSU and their foreign colleagues discovered a previously unknown species and genus of batrachians Siamophryne troglodytes. These frogs live in the only one place on Earth — a limestone cave in Thailand. The location of the cave is not disclosed to protect the animals. The results of the study will lead to the reconsideration of evolutionary history of the relevant group of Amphibia and are valuable for systematics and conservation. The work was undertaken within the Animals branch of the Noah's Ark project (with the support of the Russian Science Foundation), and its results have been published in the Open access PeerJ journal. The studies of recent 20 years revolutionized the understanding of how diverse the world of frogs, snakes, and lizards is, and in particular how rich is the herpetofauna in South and Southeast Asia. Many species of these animals are difficult to find and some of them are often almost impossible to differentiate from each other. The recent progress in molecular and genetic methods in taxonomy allows the scientists to discover new species every year — this has become a sort of routine. However, the discovery of a new genus is a fortunate event — especially when it happens unexpectedly. The work was carried out by the employees of the Faculties of Biology and Geology of MSU together with scientists from the University of Phayao, Ranong Sea Fishery Station, Nakhon Pathom Rajabhat University and Kasetsart University in Bangkok (Thailand), as well as the Joint Russian — Vietnamese Tropical Center of Russian Academy of Sciences in Hanoi. The work was undertaken within the Animals branch of the Noah's Ark project (with the support of the Russian Science Foundation).